Lorain County 911 is the primary answering point for the county. 911 major responsibility was dispatching for volunteer 14 Fire and EMS Departments, providing Emergency Medical Instructions and answering all emergency and non-emergency calls. In recent years our primary duties changed. Lorain County 911 started to merge with full time fire departments in the county. 911 has merged with 5 full time fire departments. In December 2011, our agency merged with Lorain County Sheriff Department. 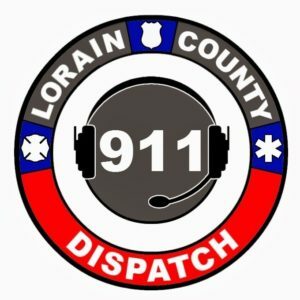 911 dispatch began dispatching for Lorain County Sheriff, South Amherst, Kipton, LaGrange Village and Lorain County Metro Parks. In 2013, we began dispatching for Grafton Village Police and Fire Department full time. In December 2018, 911 began dispatching for North Ridgeville Police Department part time. As our agency grew, we outgrew our old center. In March 2019, 911 moved into a new communications center. The new center has been designed to house 50 dispatch consoles. There are currently 16 consoles built. 911 has 5 to 6 dispatchers on a shift. We hold over or come in early abutting our shift and work on our days off. The future is promising for the agency. In a few weeks, 911 will take on an additional full time fire department. This will create two additional emergency communication positions. There has also been talk of taking on other full time police departments. If this does occur, this will add additional positions to the agency. Lorain County 911 dispatchers work tirelessly to provide quality service to the citizens of Lorain County. Our agency will be very appreciative if selected for the $100 to have provide a lunch or snack for our center.